Unlike the gift-laden Wise Men meandering slowly towards Bethlehem, most of us spend the last days of Christmas in a sea of panic and regret on a perpetual hunt for Sellotape after another year of rushed, last-minute shopping. According to data from cardlytics, consumers are spending a greater share of their holiday budget in the week leading up to Christmas (with a 12.2% increase in dollars spent during this final pre-Christmas week between 2013 and 2014). Fueled by the rise of reliable shipping, prominent delivery guarantees and increasingly aggressive cyber-sales strategies, online Christmas shopping is expected to grow by some 11% this year alone, according to Adobe’s annual Digital Index. Late shoppers are beginning to dominate this rising holiday spend, putting pressure on online retailers to drive sales beyond Black Friday - so what last-minute tweaks can you roll out to maximise sales and rule this Christmas? This blog post will explore quick-to-implement retail strategies to help you convert last-minute online spenders into customers, with rich opportunities for brands to engage with shoppers online right up until Christmas Eve and beyond. “Without a sense of urgency, desire loses its value,” said the renowned motivational speaker, Jim Rohn. So let’s set the alarm for Christmas, ignite desire, maximise sales and make Jim proud! As the clock ticks ever closer to the big day, it’s essential that you generate a sense of urgency that perpetuates your online marketing strategy to urge customers to purchase before they miss out (no one likes a giftless Gary). Targeting customers who shopped with you last year who have been active on-site but haven’t made a purchase yet by tweaking subject lines (“only 2 days left to shop!”). Dedicate an entire newsletter to your deadline day, or just simply add a countdown timer to a section of your regular newsletter to visually cue customers to shop. Re-send content to non-openers with a different subject line, say 12 hours later, to maximise click rates. Include festive content like shoppable gift guides based on top sellers to help last-minute shoppers easily browse your product catalogue and spend their money with you. Gone are the days of wrapping paper and ribbons: welcome to e-gifting. According to Clydesdale and Yorkshire Banks’ festive survey, Christmas Eve panic buyers make up the second biggest type of shopping groups over the festive season - with 14% of the UK population waiting until December 24 to make a last minute dash for gifts. When it’s no longer possible to get physical items to your customers by the 25th, get digital. Electronic gift cards can be printed out immediately, don’t cost you anything to produce, and can be emailed instantly to recipients. Although they’re less substantial than their physical counterparts, e-gift cards are gaining traction as more and more people shop online and trust redeemable codes. Consider running an on-site pop-up when you can no longer fulfill orders and digital gift cards are the only option in a bid to satisfy customers and convert every sale. Create an email campaign targeting those who have not shopped yet a couple of days before Christmas, reassuring panic-ridden shoppers about your gift card options and policies. When you can see your top spenders have been browsing but haven’t clicked buy, extend a festive nudge tempting them to convert. Compile a list of your top spenders (based on lifetime value) who have visited your site during the Christmas period, but who are yet to make a purchase, and consider sending a personalised recommendation email, based on the products they’ve browsed. Perhaps include a small incentive to get them shopping, such as free express delivery or an exclusive time-based discount to incentivise purchasing. If you have a smaller number of ‘elite’ customers then use this time to scoop up the undecided, big spenders. For smaller luxury brands, consider having a customer service representative contact these people personally with gift recommendations based on their previous shopping history. According to our recent Cyber Weekend stats, there was a 53% rise in the number of shoppers failing to checkout items compared to the rest of 2015 - showing that seasonal shoppers are increasingly looking for more reasons to convert. Concentrating your abandoned cart emails in the days leading up to Christmas. Examples include re-sending these emails to non-openers with a different subject line to maximise click-rates. 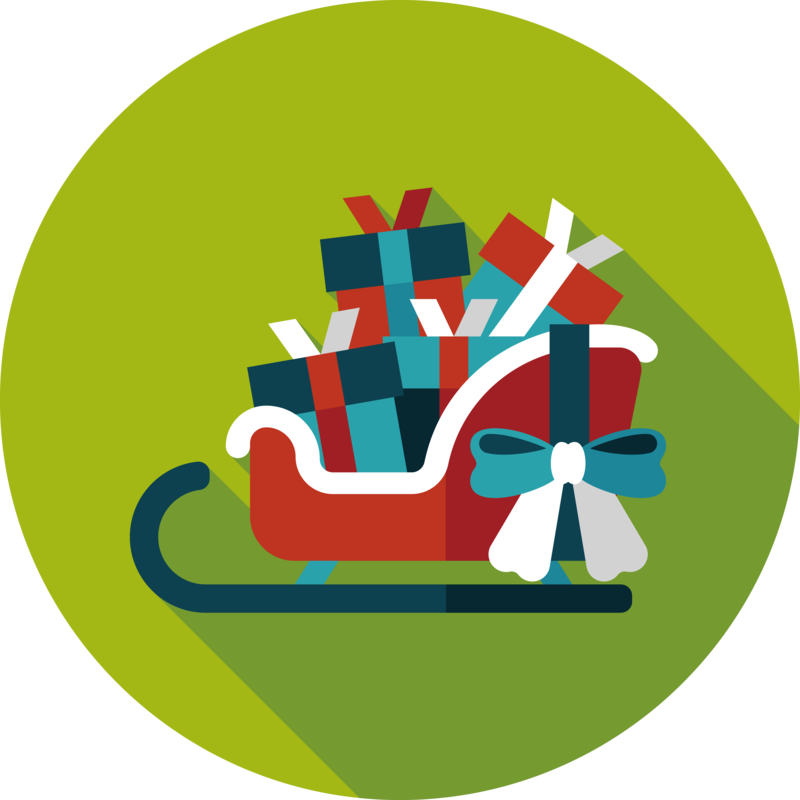 If you run an abandoned cart email series: truncate to shorten time before Christmas Day. Create list of people who have abandoned carts in December - if they haven’t converted - target them with a tactical blast a couple of days before your shipping deadline with an email personalised with their abandoned goods underlining the sense of urgency (“Only 2 days left to get your items”). Don’t get swept up by the whirlwind of festive spirit and remember to look ahead to next year, keeping in mind that all customers acquired over the holiday season can be retargeted as soon as the tinsel is back in the attic.